Professor Soung Chang LIEW received his S.B., S.M., E.E., and Ph.D. degrees from the Massachusetts Institute of Technology. From 1984 to 1988, he was at the MIT Laboratory for Information and Decision Systems, where he investigated Fiber-Optic Communications Networks. From March 1988 to July 1993, Professor Liew was at Bellcore (now Telcordia), New Jersey, where he engaged in Broadband Network Research. He is currently Professor and Division Head at the Department of Information Engineering, the Chinese University of Hong Kong (CUHK). He is also currently a Co-Director of the Institute of Network Coding at CUHK. He was Department Chairman from 2006 to 2009, and Associate Dean of Engineering from 2004 to 2006. Besides his appointment at CUHK, Professor Liew is Adjunct Professor of Peking University and Southeast University in China. Professor Liew’s research group is currently participating in DARPA SC2’s competition (https://spectrumcollaborationchallenge.com/), in collaboration with researchers from Northwestern University, USA. This activity provides the backdrop for Professor Liew’s group’s foray into the use of AI and machine learning techniques in wireless communications and networking. The long-term goal is not just to focus on theory, but also the practice of using AI in real wireless networks. This activity involves both theoretical research as well as real prototyping efforts on software-defined radio (SDR), including testing over the first-of-its-kind SDR testbed, Colosseum, hosted by DARPA. Professor Liew’s research group is also currently working on Intelligent Transportation Systems (ITS) in a large project funded by ITC (Innovation and Technology Commission, Hong Kong), in collaboration with MIT, USA, and HKU, HKUST, Hong Kong. Our vision is to build a clean-slate communication network for ITS to support the delivery of time-critical safety and control messages among vehicles and other ITS components (e.g., communication between self-driving vehicles, traffic signal control, freeway management, incident management, and emergency management services). Professor Liew’s research group conceived and pioneered the concept of Physical-layer Network Coding (PNC), a subfield in Network Coding that is attracting wide followings in the wireless research community recently. This paper made the observation that nature often performs implicit network coding operations which can be exploited to improve network performance. In wireless relay networks, exploiting the superposition of electromagnetic waves, a form of network coding, allows throughput to be doubled. There have been several international journal issues dedicated to the topic of PNC. In 2017, the original paper on PNC published in 2016 was selected by Google Scholar as one of the 10 classic papers in the overall field of Computer Networks and Wireless Communication. Professor Liew’s research group won the best paper awards in the 1st IEEE International Conference on Mobile Ad-hoc and Sensor Systems (IEEE MASS 2004) the 4th IEEE International Workshop on Wireless Local Network (IEEE WLN 2004). These papers contributed to the understanding of wireless CSMA networks, particularly on their performance and operational stability. Professor Liew’s research group invented TCP Veno, a version of TCP that circumvents the shortcoming performance bottlenecks of conventional TCP in wireless networks. TCP Veno has been incorporated into Linux OS and recent Android products. Professor Liew’s research group was among the first to study the transport of VoIP over Wi-Fi. A paper of the group pointed out the significant overhead incurred when VoIP is carried over Wi-Fi, and proposed an aggregation technique to solve the problem. The paper is the most cited work under the keyword search "VoIP WLAN" in Google Scholar, and under the title search "VoIP" in Web of Science. Professor Liew co-initiated and directed the Area of Excellence in Information Technology of Hong Kong, a HK$51m multiyear umbrella research project with participants from major universities in Hong Kong. Professor Liew initiated and built the first inter-university ATM network testbed in Hong Kong in 1993. Professor Liew is the recipient of CUHK Research Excellence Award in 2013. At CUHK, Professor Liew teaches Engineering Physics, Probability Theory, Computer Networks, Network Programming, Multimedia Communications Systems, and Broadband Packet Switching and Networking. He is the co-author of an advanced-level textbook, Principles of Broadband Switching and Networking. In addition, he is the co-author of a research monograph, A Primer on Physical-layer Network Coding. 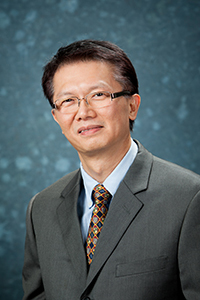 At CUHK, Professor Liew was a recipient of a university-wide exemplary teaching award when it was first established in 1999, for his teaching excellence in engineering. Besides academic activities, Professor Liew is very active in the industry. He co-founded two technology start-ups that focused on Internet Software. One of the start-ups was co-founded with Professor Charles Kao (Winner of Nobel Prize in Physics, 2009) in the 90s, during the early days of the Internet. Working with a property developer, the company built the first residential intranet in the region (probably the world). Professor Liew was a consultant for the Hong Kong Applied Science and Technology Research Institute (ASTRI) from 2001 to 2013, providing technical advice as well as helping to formulate R&D directions and strategies in the areas of Wireless Internetworking, Applications, and Services. Some of the wireless technologies he co-invented at ASTRI are the key components behind commercial products sold around the world. Professor Liew is currently a member of the Board of Directors of ASTRI and a Technical Chair for the Technical Committee at ASTRI. Professor Liew is also currently a consultant and technology advisor to CocoRoco and Zyetric, two technology start-ups founded by his students. Professor Liew is a Fellow of IEEE, IET and HKIE. Professor Liew has published over 250 refereed technical papers (mostly IEEE). He is the holder (co-holder) of 14 U.S. patents. L. You, S. C. Liew, L. Lu, "Network-Coded Multiple Access II: Toward Realtime Operation with Improved Performance," IEEE J. on Selected Areas in Commun., vol. 33, 2, pp. 264-280, Feb. 2015L. Lu, L. You, S. C. Liew, "Network-Coded Multiple Access," IEEE Trans. on Mobile Computing, vol. 13, no. 12, pp. 2853-2869, Dec. 2014. T. Wang, S. C. Liew, "Joint Channel Estimation and Channel Decoding in Physical-Layer Network Coding Systems: An EM-BP Factor Graph Framework" IEEE Trans. on Wireless Communications, vol. 13, no. 4, pp. 2229-2245, April 2014F. Wang, X. Yuan, S. C. Liew, Y. Li, "Bidirectional Cellular Relay Network with Distributed Relaying," IEEE J. on Selected Areas in Commun., vol. 31, no. 10, pp. 2082-2098, Oct. 2013. S. Zhang, S. C. Liew, H. Wang, "Synchronization Analysis for Wireless TWRC Operated with Physical-layer Network Coding," Wireless Personal Communications, Springer, vol. 68, no. 3, pp. 647-653, Feb. 2013. DOI 10.1007/s11277-011-0473-6. L. Fu*, S. C. Liew, J. Huang, "Effective Carrier Sensing in CSMA Networks under Cumulative Interference," IEEE Trans. on Mobile Computing, vol. 12, no. 4, pp. 748-760, Apr. 2013.